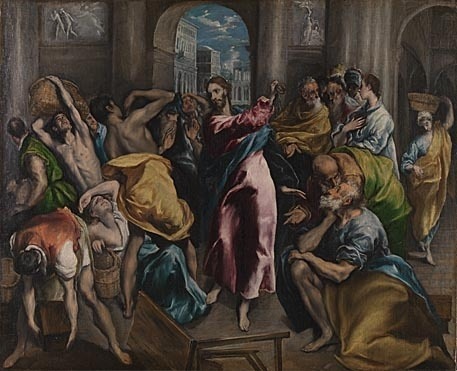 In El Greco's Purification of the Temple, he takes a biblical incident and transforms it into a dreamy, violent, chaotic and morally exacting scene of color and light. 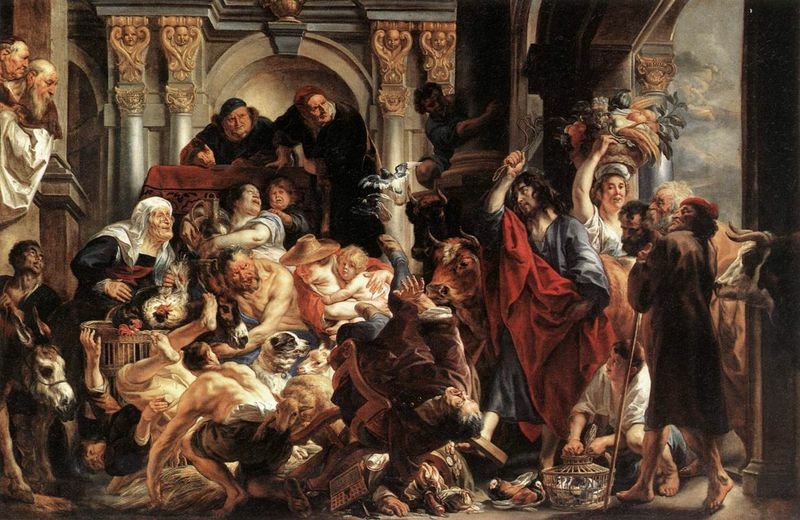 The story, in which Jesus expels undesirables from the Temple, is taken from the Book of Matthew in the New Testament of the Bible, which says, "Jesus entered the temple area and drove out all who were buying and selling there. He overturned the tables of the money changers and the benches of those selling doves. It is written, he said to them, 'My house will be called a house of prayer, but you are making it a 'den of robbers." Part of what makes El Greco's Purification of the Temple so fascinating is that he overtly depicts his inspirations in the painting itself, by painting four of the leading masters of the High Renaissance. El Greco's commentaries indicate that he saw these four men as models to emulate. Some argue that by including them in his painting, El Greco not only expressed his gratitude but also symbolically argued that he was able to rival these masters. In addition to explicitly referencing his inspirations on the bottom right edge of the Purification of the Temple, El Greco also quotes extensively from great Renaissance and Mannerist painters throughout his composition. El Greco's work borrows much from Michelangelo, the High Renaissance master who proved both an envied archrival and treasured inspiration to El Greco. In the 1550s, Michelangelo made a number of drawings of the Purification, one of which he adapted into a panel, which is thought to be the ultimate source of El Greco's composition in this painting. Moreover, some experts claim that El Greco takes his Jesus from Michelangelo's Last Judgment. Michelangelo's tortured and titanic Jesus in the Last Judgment helped to forge the Mannerist style El Greco developed throughout his career. El Greco also quotes extensively from Raphael, a High Renaissance master painter and architect. 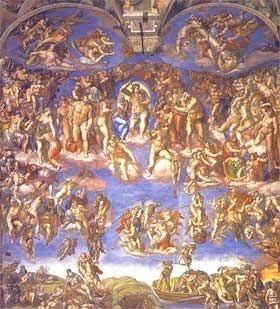 There is an obvious reference to Raphael in the older male figure grasping a basket and looking up at Jesus from the ground at his left side. 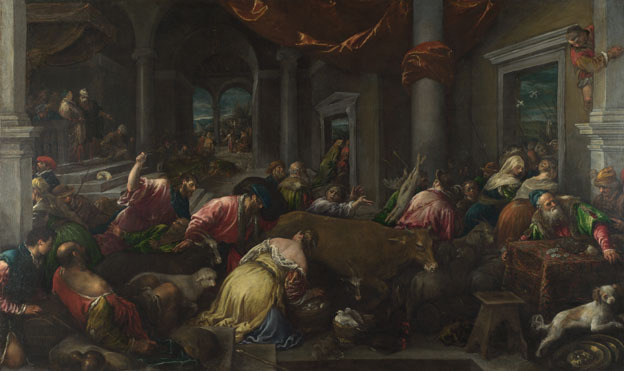 This version of El Greco's Purification also adds a Venetian touch, perhaps influenced by his Venetian mentor Titian - colorful narrative detail such as the animals in the bottom left corner. This attention to detail can be seen in other versions of the Purification, such as the one by Jacopo Bassano (see Related Paintings before), who also studied under Titian. 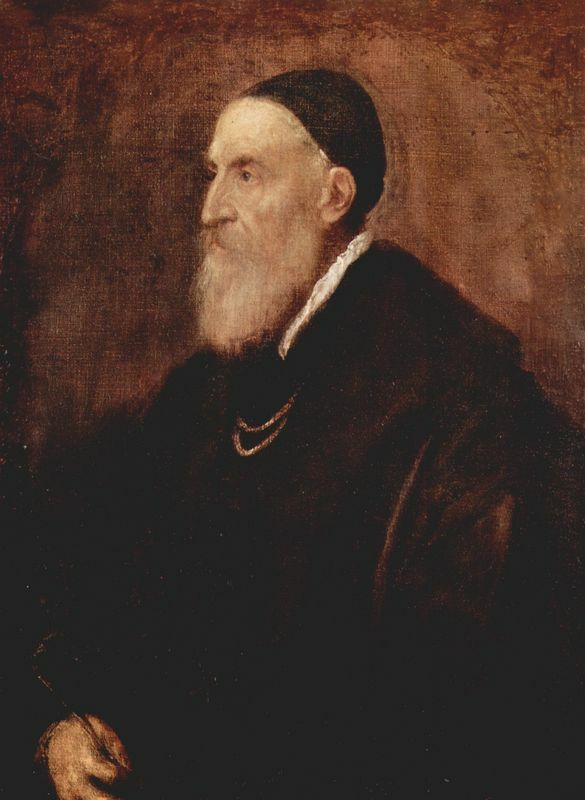 Also, El Greco's style in this painting quotes extensively from his Italian forefathers, indicating the transformative effect of his time in Italy on his artistic works. This painting, and its central religious theme of purifying the church, also reveals El Greco as an artistic spokesperson for the Counter-Reformation Movement. Though El Greco borrowed from those artists to whom he pays overt homage, he uses this inspiration as a base from which to showcase compositional elements all his own. 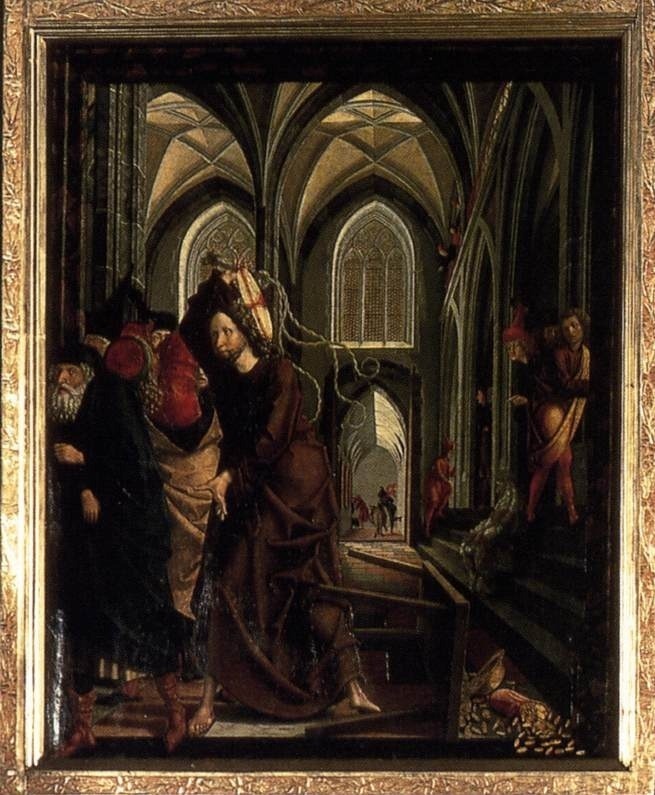 The Purification of the Temple reveals the high demands El Greco placed on his art, simultaneously revealing Byzantine roots, Renaissance training and Mannerist techniques. Renaissance artists prized the contrapposto positioning of figures, whereby the standing human form appears as if most of the weight rests over one leg with the other leg bent slightly, making the shoulders and arms twist slightly from the hips and legs. This position gives a dynamic appearance and can be used to increase the feeling of relaxation, or conversely, of tension. In El Greco's Purification, he uses contrapposto in the figure of Jesus and he elongates and twists bodies almost to the point of parody, giving the painting a Mannerist feel. This also serves to increase the tension and sense of panicked movement in this scene. El Greco reverses the compositional arrangement used by Michelangelo. Whereas Michelangelo always portrayed Jesus' right hand pointing to the saved and his left to the damned, El Greco's Jesus swings his right hand towards the damned, as if seeing salvation in reverse, through his own cloudy mirror. El Greco's rich color palate, consisting of the primary colors and various warm gold tones, shows the Italian influence on El Greco's earlier career. In the tradition of Renaissance and early Mannerist painters, such as Tintoretto, El Greco creates a deep stage-like space, which adds a spiritual and imaginative realm to the composition. Through an opening above and behind Christ's head, we glimpse a view of city receding endlessly back into space. The vertical lines of this exterior world work to draw the eye back toward the central figure of Jesus, while El Greco's sky of rich and contrasting blues and yellows makes the world beyond intriguingly infinite. Harsh and unrealistic, the lighting used by El Greco in the Purification of the Temple lends to the supernatural. 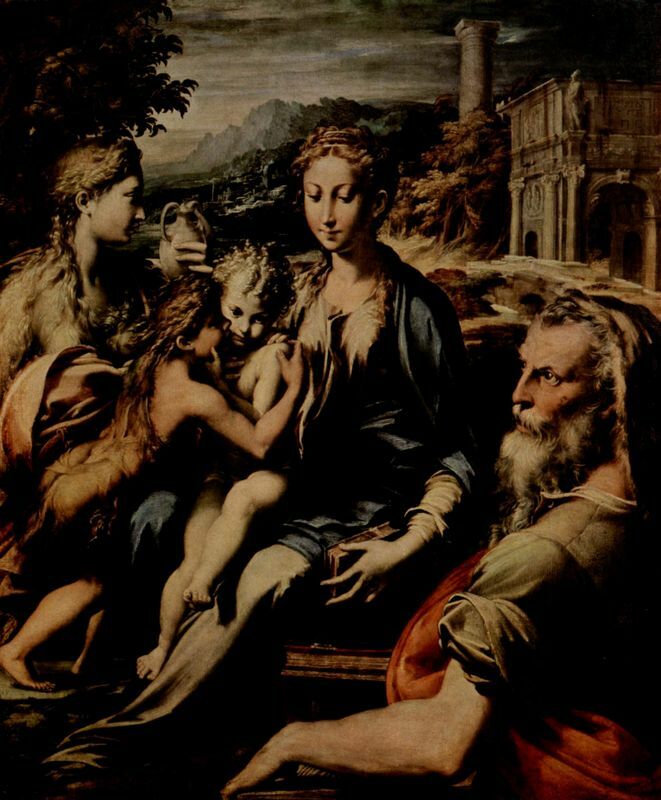 This lighting effect is typical of the Mannerist style. The Renaissance technique of chiaroscuro, or use of extreme contrasts in the lightness and darkness of color, prefigures prominently into this work adding intensity to the mood. One of El Greco's all-time favorite themes was the purification of the temple and he repeated it over and over again. 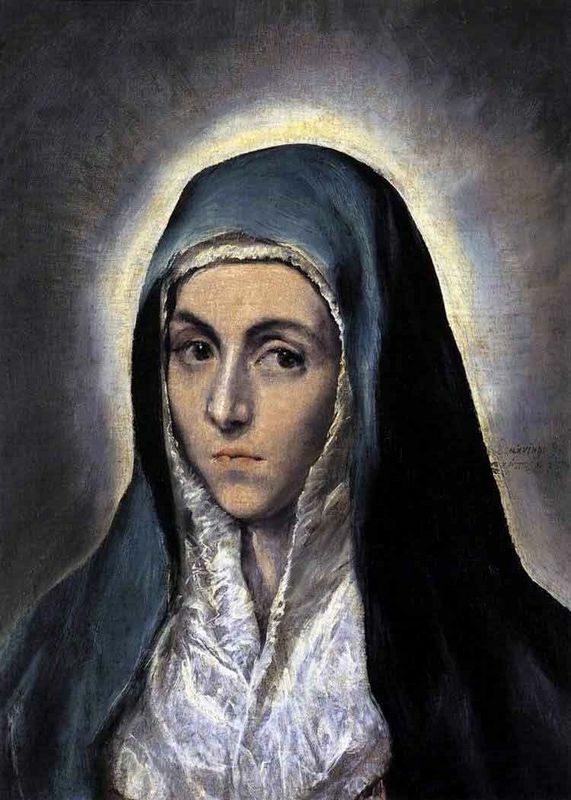 El Greco, Greek by birth, Italian by training, and Spanish by his choosing-painted this religious work relatively in his career, though after relocating to his adopted home of Toledo, Spain. At the age of 30, El Greco executed The Purification of the Temple, not only to pay homage to his inspirations, but also as if to claim he felt capable of surpassing these Greats. In the minds of some art lovers, El Greco indeed did just that. El Greco was born in Crete, during the time it was part of the Republic of Venice and a hub of Post-Byzantine art. He became a master in this art form before following in the footsteps of other Greek artists and travelling to Venice to further his studies. Moving on to Rome, El Greco opened a workshop and spent a great deal of time developing his style, adopting elements of both Mannerism and the Venetian Renaissance. 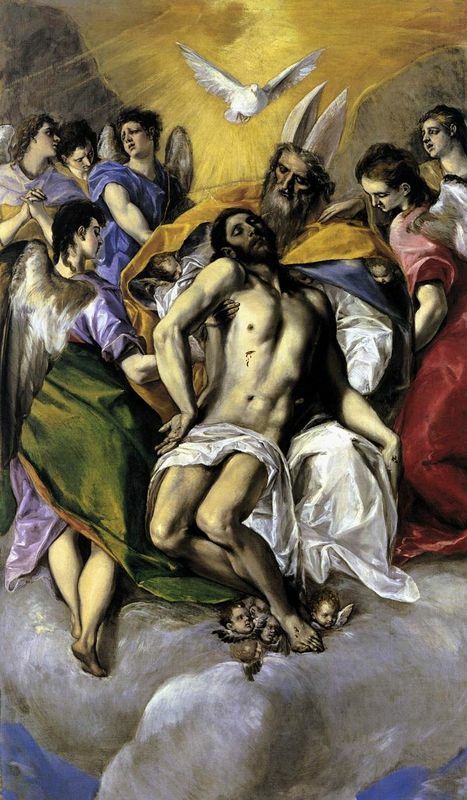 El Greco regarded color as the most important element of painting, and declared that color had primacy over form. In his mature works he tended to dramatize rather than describe and the strong spiritual emotion of his works directly affects the audience. Mannerism was a period of European art history that followed close on the heels of the Renaissance. 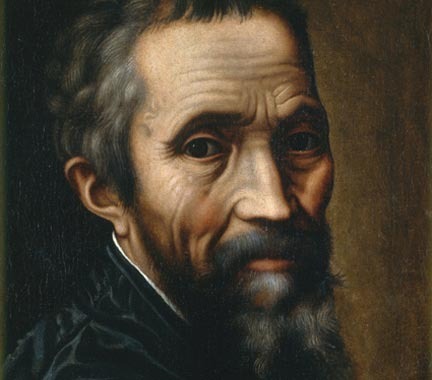 In fact, this period is sometimes referred to as the Late Renaissance. Mannerism, however, represented a break from many of the artistic values of the Renaissance, as naturalism gave way to the surreal. In this particular El Greco painting, we see him harkening back to the Renaissance and his mentors from this period, but we also see the beginnings of his Mannerist style. Marrying Byzantine traditions with Western painting, El Greco is renowned his elongated figures and often fantastic pigmentation and because of this many modern scholars believe that El Greco is a truly unique artists who broke the rules of all conventional schools.